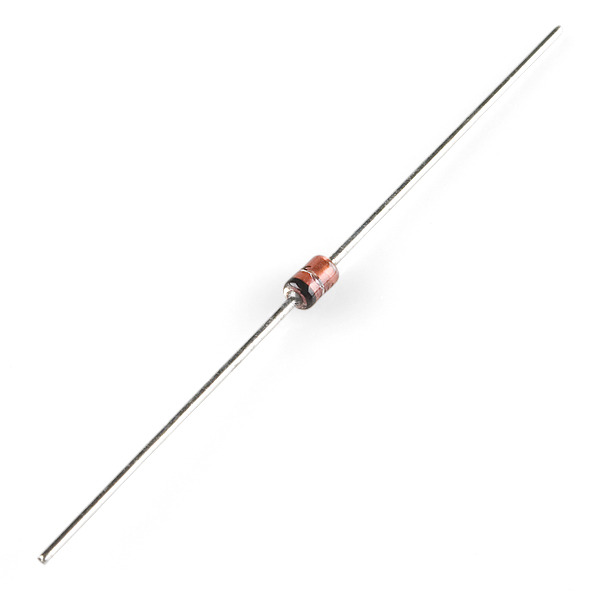 Zener diodes are useful for creating a reference voltage or as a voltage stabilizer for low-current applications.These diodes are rated for 5.1 volts with a maximum of 1W. Price is for a single diode. I need some 3.3v Zener diodes as well. I passed along the request to our product hunters. 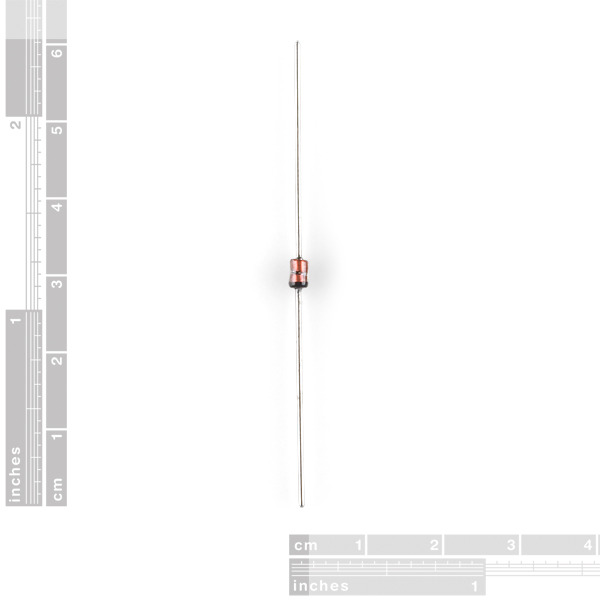 I would love to see a 3.6V zener diode. Useful for building software USB on ATtinys. See the V-USB implementation here: http://vusb.wikidot.com/hardware. This allows folks to get everything they need to build a USB device using AVR entirely on Sparkfun. Can a device like this be used to protect the ADC on the Arduino from over-voltage? I am working on a circuit and I don't have an oscilloscope, so I will be experimenting with different gains on an op amp until I get a good voltage range for input into the ADC. Can (or should) I use a Zener like this to prevent sending too much voltage to the ADC input without altering lower voltage signals (i.e. will the signal be unmodified if the max voltages stay under the zenar's trigger voltage)? Wait, so these are like for bringing a voltage up to 5v for something? These differ from regular diodes by what happens when you exceed it's voltage rating. A normal diode burns up, and is usually damaged by heat. However, a zener instead allows current to flow backward through it. 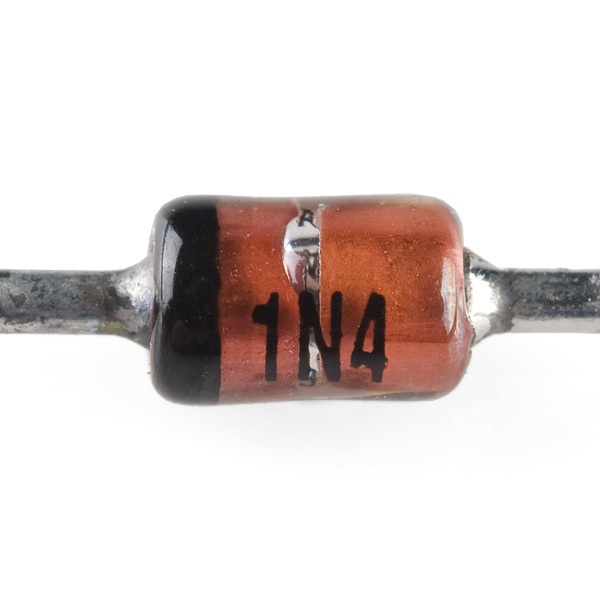 This can be used to essentially drain off excess voltage to ground, so that it stabilizes at 5.1V (which is this diode's rating). ...i.e. 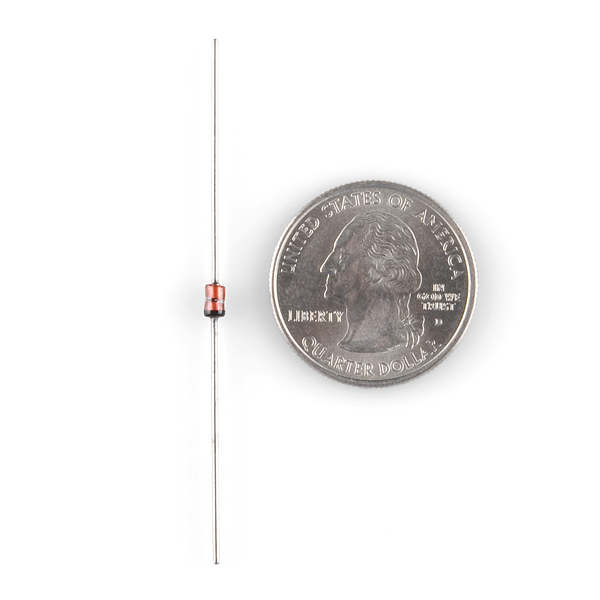 if you send 6V across this diode, it will shunt .9 to ground and give you 5.1V. This one's probably meant for use as a VERY VERY VERY VERY cheap regulator for 5V micros.